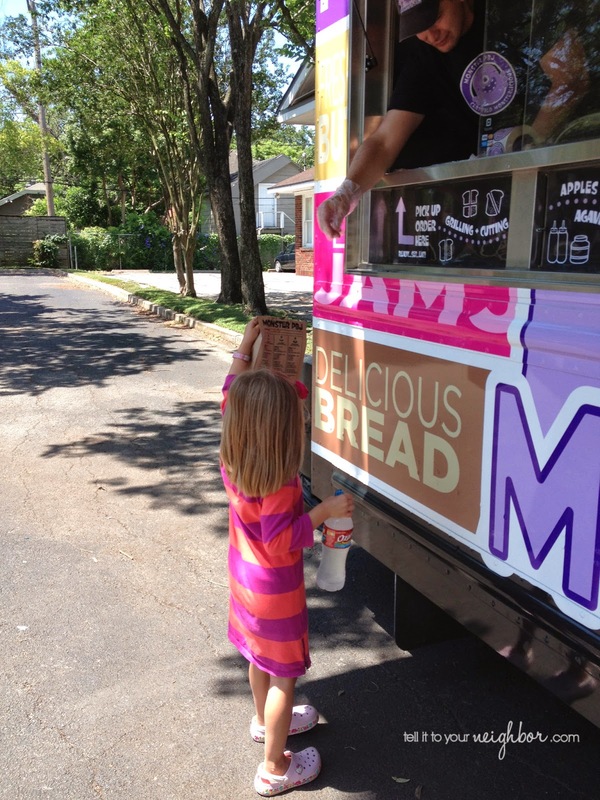 Have you ever wished you could get PB&J from a drive-thru? I have, for myself and my picky eaters! Well, this food truck is pretty darn close to a drive-thru. 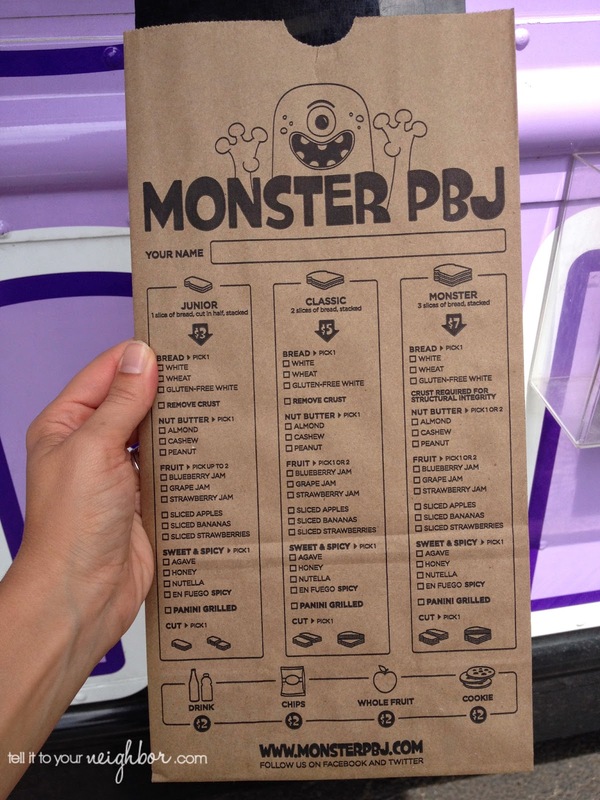 It’s the MONSTER PBJ food truck, tell it to your neighbor! 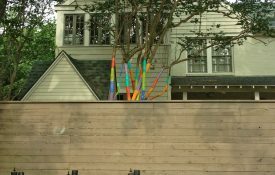 I stumbled upon it a couple weeks ago when I tried to take my daughter to The Menil. The museum was closed on this day and we were so disappointed! 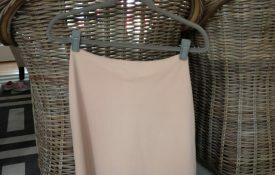 Then something caught our eye and saved the day! 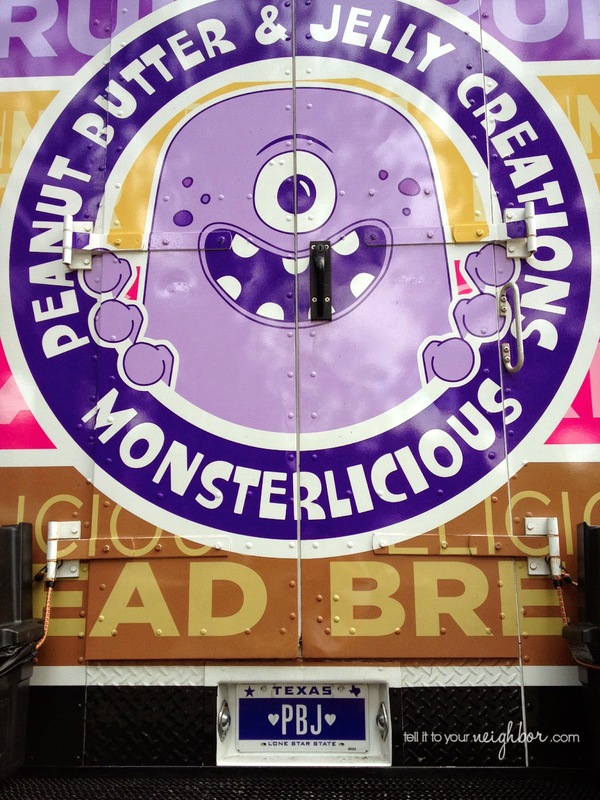 In the parking lot of the Menil was the Monster PBJ truck. And as it turns out, the truck is there 4 days a week, Saturday through Tuesday, from 11 am to 6 pm. Again, TITYN! The Menil parking lot entrance is on W. Alabama between Mandell and Mulberry. Take a look at the menu below. This is the reason the truck saved the day, they had Nutella and my daughter got to choose how it was sliced! What kid wouldn’t be happy with chocolate and the freedom to choose??? On our first visit I went with the traditional peanut butter, bananas and honey, delicious! On our second visit I went with the owner’s favorite: peanut butter, blueberry jam and sliced apples, WOW SO GOOD!! And the bread is awesome because it’s not too thick for the kids. 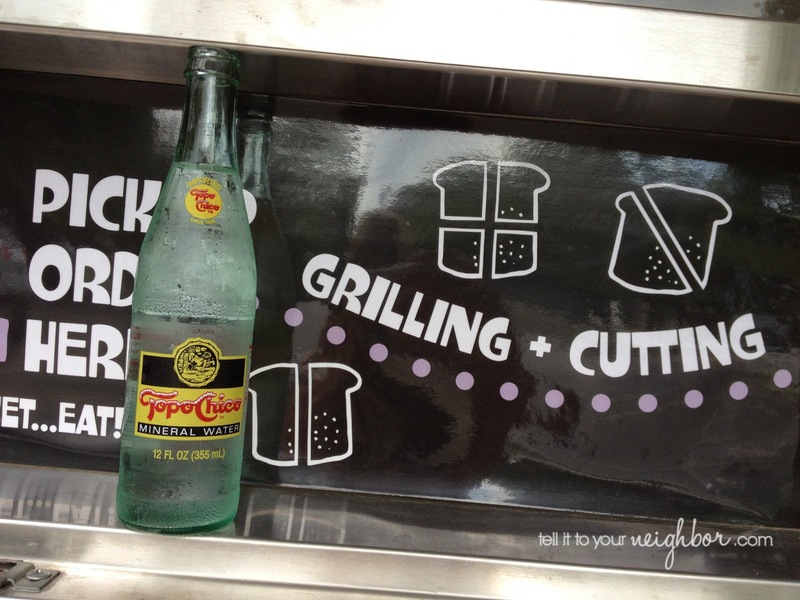 I was also excited about the cold Topo Chico! This next foodie find could mean trouble for me. Coffee, donuts and a drive-thru. 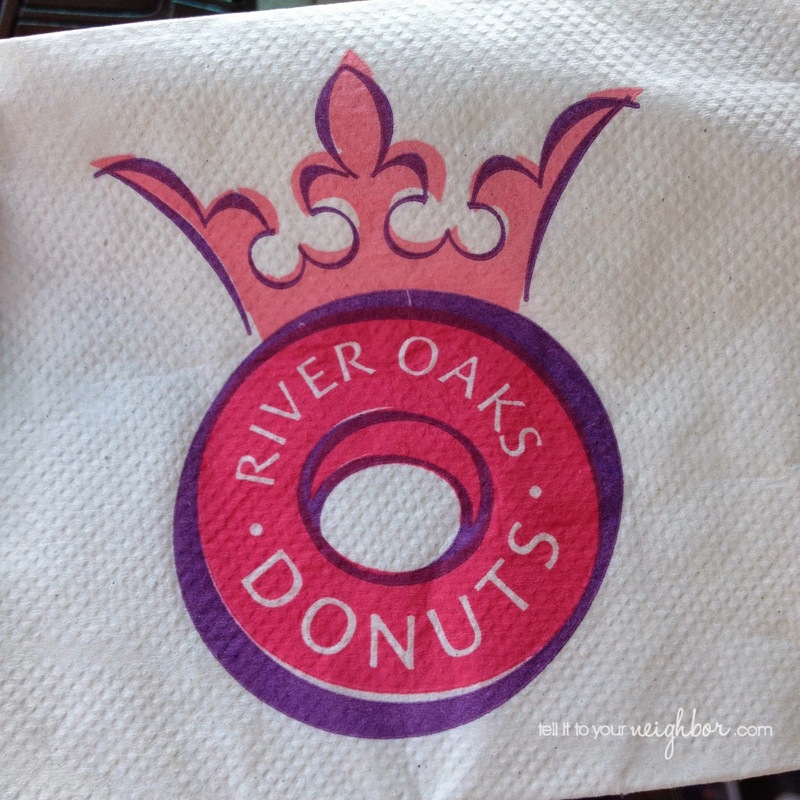 It’s River Oaks Donuts and it quietly opened last week! My report is thumbs up on the coffee and the donuts! Also, I just learned they serve kolaches from Prasek’s! 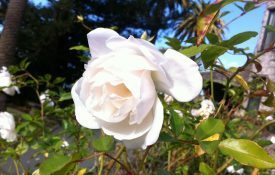 I will be returning often, very often. 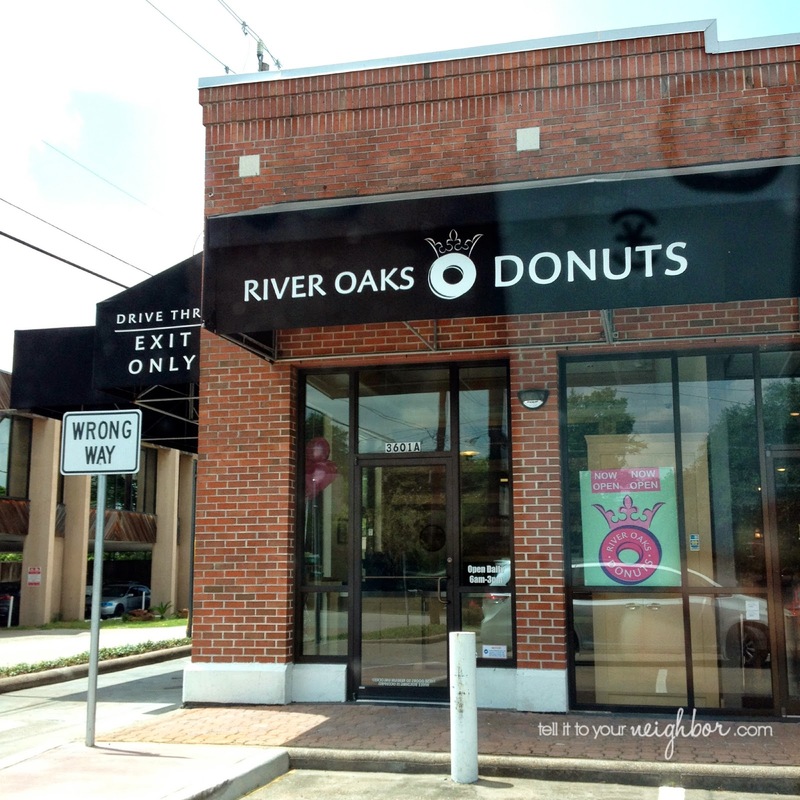 River Oaks Donuts is located near St. Luke’s United Methodist at the corner of Westheimer and Joanel. 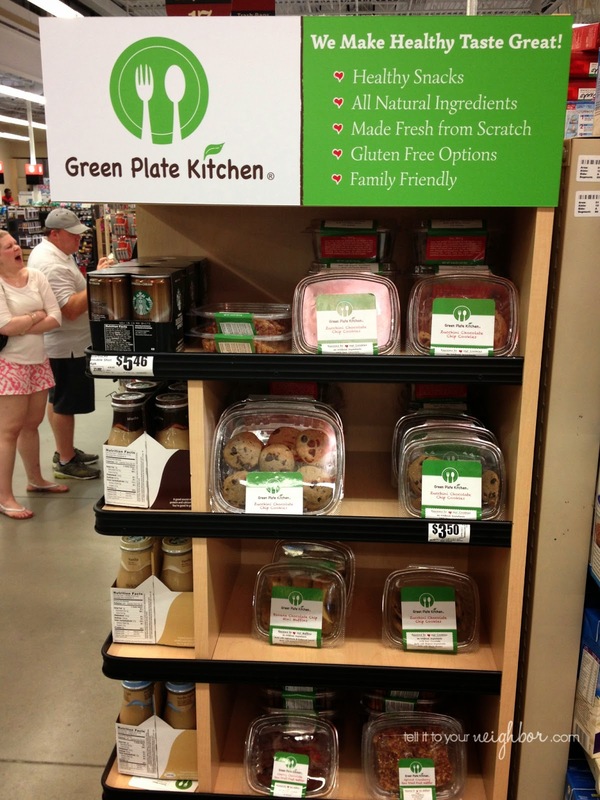 The third and final foodie find stopped me in my tracks, Green Plate Kitchen is at H-E-B! It looks like you can find it at the Bunker Hill, Buffalo Speedway or Montrose locations. 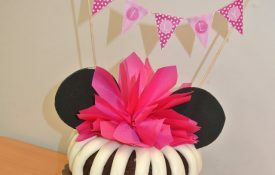 This pic is from the Montrose Market H-E-B. 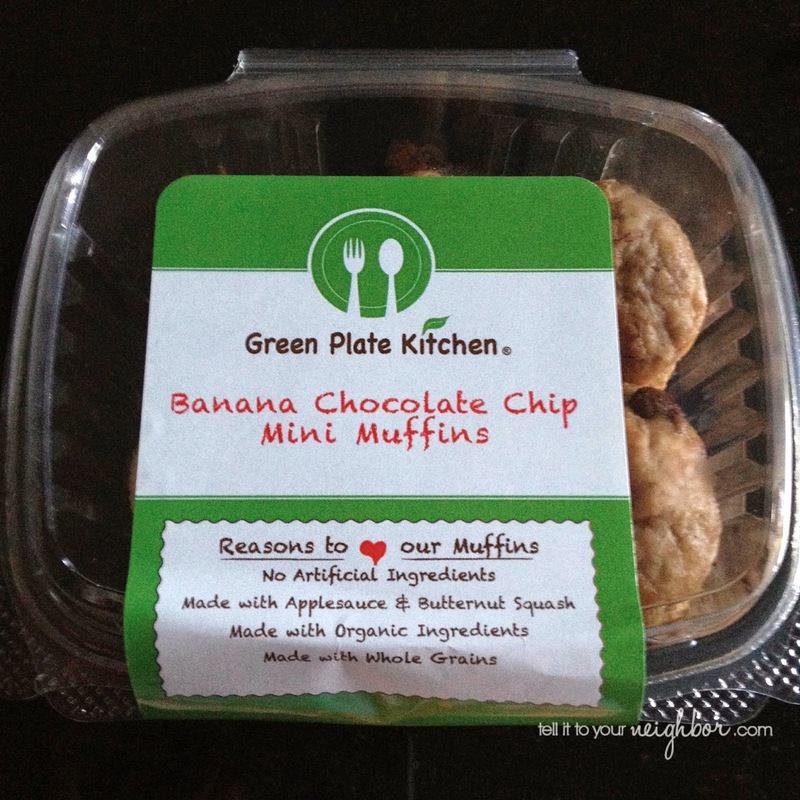 I love the Banana Chocolate Chip Mini Muffins. They’re made with applesauce and butternut squash and they are so good! It’s an easy breakfast for us and my kids get a veggie! 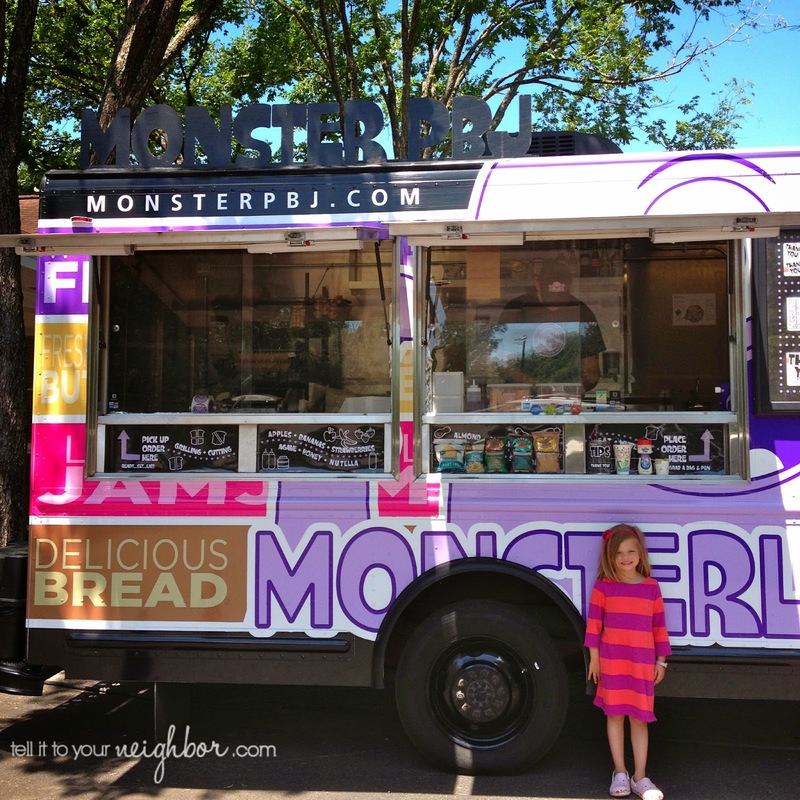 Summer Foodie Finds! 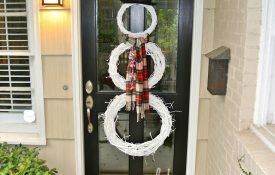 If you’re in Houston or ever visit I hope you enjoy eating these foodie finds as much as we did! Next time you are over there, stop at the Watercolor Society. They are on the corner of Mandell and Alabama, open Tues-Sat from 10-3. They change shows every month and have great art. You can park at the Menil lot and walk over. I am going to try one of those sandwiches with my son soon! 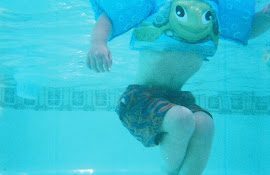 Great post Erica! I just read an article in the Chronicle about a mini pie shop owned by a mother and daughter in the Heights called Mighty Sweet Mini Pies – would be a perfect summer foodie find. We're going to check it out with the kids and their great-grandparents this week!